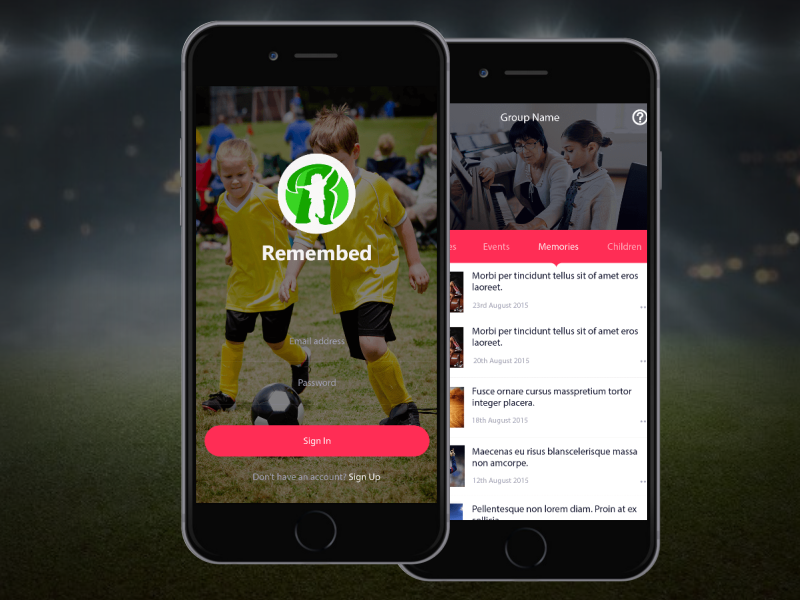 Remembed is an event organizing app which helps several groups to organize the events and send notifications to the parent user to send their child to different events. Parents can also pay the entry fees to the event organizers via this application. The group user can create the event and notify about the events to the parent and as result parents will send request notification to the group admin and get their child participated in the event. Group admin can generate the invoice and parents will make the payment accordingly. Group admin can also create the memories of the event and can share it with the parent user.